PlantMiner is extremely fortunate to have a team of hard-working employees, all on a journey to help simplify the plant & equipment hiring process for both equipment searchers and equipment suppliers. February has been an outstanding month for the entire team, but there was one star in particular that stood out from the crowd. 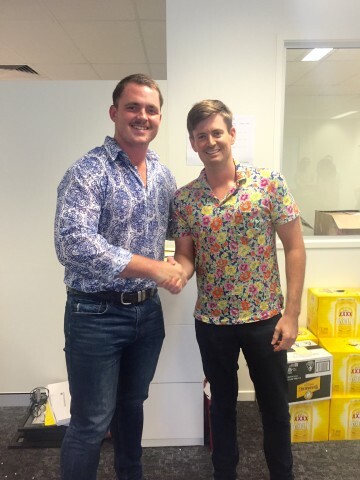 PlantMiner's Employee of the Month for February 2015 goes to Tom Moloney, in recognition of his efforts in making plant and equipment hire easier for Project Managers, Site Foremen and Engineers across Queensland. Tom's continuous efforts throughout February helped connect these professionals with equipment hire companies who matched their requirements, including sourcing a compactor for an eight month hire job for Toowoomba Regional Council. Over $200,000 total transactional value was awarded to our PlantMiner suppliers thanks to Tom's efforts. Tom's strong team focus has come from experience in team environments such as rugby and rowing and has led to his seamless leadership of the Queensland Business Development team. This role has seen Tom excel in helping searchers of equipment hire connect to relevant suppliers in the easiest way possible. If you're interested in joining the PlantMiner team, check out our current job openings here.